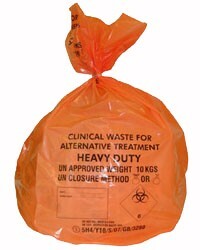 Eurocare Clinical waste services offer a tailor made service package to safely remove swabs and dressing waste from your premises.This is waste which, unless rendered safe, may prove hazardous to any person coming into contact with and must be safely managed right up to the point of disposal. Providing you with hazardous waste consignment notes on each service visit. A full waste segregation risk assessment will be carried out at your premises prior to the commencement of any services. Full audit trail of collected/ disposed of wastes every quarter. These are collected on a regular basis to fit in with your requirements.